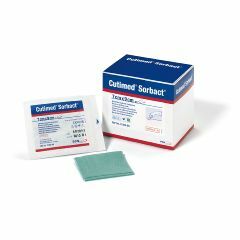 Provide an additional absorbent core for exudate handling. Cutimed ® Sorbact ® can be used without hesitation during pregnancy. Cutimed ® Sorbact ® does not use any antiseptic or antibiotic substances.